This is a reprint of a letter to the editor of the Suburban Newspapers by Anthony Housefather, MP for Mount Royal on July 11, 2018. Anthony is an extraordinary advocate for his constituency and is outspoken in his staunch support for Israel. In this excellent letter he sets the record straight for those who believe that he and the liberal government have wavered in showing Canada’s steadfast support for Israel. Of course, one can easily point to a single incident, event or vote and criticize. But life, and politics, is far from that simple. I wholeheartedly continue to support Anthony Housefather as an extraordinary, young leader who is sure to rise among the ranks. He is the right man to push our government when necessary, whether on Israel or on a number of other major issues. His intelligence shines through in his speeches and writings. If you have not met him I strongly encourage you to do so at one of the many events he addresses or in connecting by email or social media. I need to respond to the letter from Nathan Rosensheim published in the Suburban on July 4th, claiming the Canadian Government did not support Israel and that I was not a forceful advocate for Israel within the Government. To say these claims are false would be a huge understatement. I have always been and will continue to be a huge supporter of Israel and since I was first elected I have been one of the foremost advocates on behalf of support for Israel and action on causes important to my constituents and Canada’s Jewish community. Let’s look at the overall record since October 2015. Since the Liberal Government was elected in October 2015, Canada has one of the best voting records at the UN on defending Israel. We have voted no on 54 of the 62 resolutions at the General Assembly which singled out Israel over this time. No country other than the US and some small islands have a record similar to ours. Our record on voting against resolutions on Israel is far better than Australia and the UK and other European countries. It is also better in percentage terms of no votes than any previous Canadian Government, including the ten years of the Harper administration. Our Government also supported the first anti-BDS motion to be adopted by the House of Commons. We adopted a Bill recognizing May as Jewish Heritage Month. We just signed an enhanced Canada/US free trade agreement at the Gelber Centre in the Mount Royal riding. We doubled security infrastructure funding to help secure Jewish and other institutions that are subject to potential hate crimes. As well, the Prime Minister committed to apologizing in the House of Commons for our record on Jewish refugees prior to and during the Second World War and in particular for Canada’s shameful refusal of the SS St. Louis in 1939. No other Canadian Government has ever done this and it is something I have been calling for since I have been elected. I spend a significant percentage of my time advocating for issues of interest to the Jewish community. There have been a small number of times I have been disappointed, such as with the recent statement on Gaza and in that case my colleague Michael Levitt and I released our own statement. But I have worked very hard within the Government to ensure our position on Jewish and Israeli issues is as strong as possible and most of the time I have succeeded. I truly believe if you look at the facts above the number of actions we have taken in support of Israel and issues related to Canada’s Jewish community over the last 2.5 years is equal to or better than any other Canadian Government in history and I am happy to defend my actions to my constituents anytime. 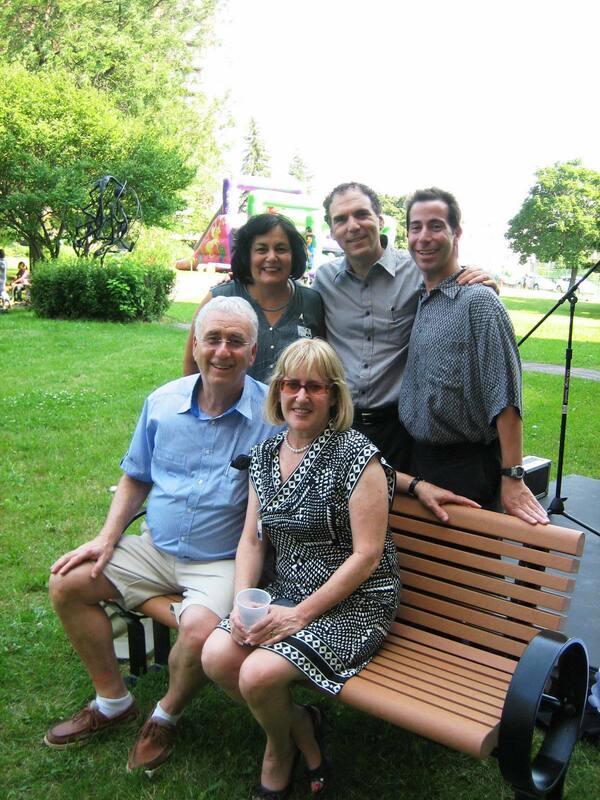 The Côte St. Luc Men’s Club hosted an “Evening of Entertainment” last week at the city’s Aquatic and Community Centre to raise funds for Canadian Magen David Adom for Israel. CMDA sends ambulances and medical supplies to Magen David Adom for use in Israel. On hand were CMDA president Michael I. Levine, Mayor Mitchell Brownstein and Côte St. Luc council members, D’Arcy McGee MNA David Birnbaum, Beth Tikvah Rabbi Emeritus Mordecai Zeitz and many others. Cantor Yossi Pomerantz, accompanied by Joseph Milo, sang; and humourist Al Kustanowitz performed. The event also marked the donation of ambulances, medical emergency scooters and funds for medical equipment to Israel. One ambulance, displayed at the event, was donated by the Men’s Club; and by Simon and Fagey Rossdeutscher and Judith and Harry Rossdeutscher in memory of their families who perished in the Holocaust. “Almost a year ago, I decided that as the Men’s Club is growing enormously, we should do something special for the State of Israel, where I’ve been many, many times,” said Men’s Club president Syd Kronish. “I went to see Sidney Benizri, executive director of CMDA, and for 40 minutes, he showed me what Magen David Adom accomplishes for Israel. I decided that’s for us. The Rossdeutscher family has been involved with CMDA for more than 30 years and has donated at least several other ambulances over the years, including one dedicated to the memory of Rabbi Sidney Shoham of Beth Zion Synagogue. Another ambulance was donated by Derek and Richard Stern and Families. 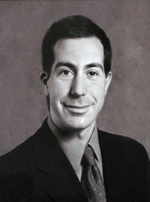 Mayoral candidate Robert Libman was on hand for the event, representing the Stern family. Benizri, who is also a Côte St. Luc councillor, was very appreciative. Benizri also thanked the Rossdeutscher family for the new ambulance, the Stern family for the other ambulance and other families for the medical scooters. The scooters were presented to the people of Israel by Sheila and Nat Agensky in memory of Brian Agensky; by Marion and Lazarus Caplan; by Elaine and Syd Kronish; Steven, Etty, Samantha and David Kronish; and the Spector Family. 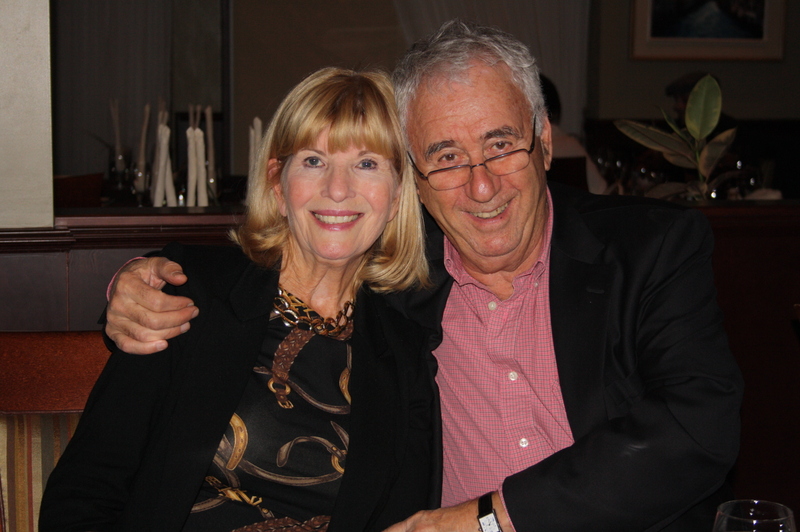 As well, Harriet and Harry Fried made a major donation for medical equipment. The balance of the gala evening’s proceeds “will be used to provide essential medical equipment for MDA Israel paramedics and first responders,” says a CMDA statement. What a great feeling to see the Cote Saint-Luc Men’s Club emblem on this ambulance destined for Israel. Judy and I were thrilled to be able to participate and contribute in a small but meaningful way. Magen David Adom is innovative in their ability to outfit a scooter with emergency medical equipment to respond rapidly to urgent calls even with congested streets in Tel Aviv and Jerusalem. We can learn a lot from them. I recall the last time Israel’s 9th president, Shimon Peres, visited Montreal four years ago. He was given a hero’s welcome as he entered the Shaare Hashomayim (Gates of Heaven) synagogue in Westmount yesterday to a packed house of 1800 well-wishers. How proud I was to deliver a token gift on behalf of Dr. Hartley Stern, Executive Director of the Jewish General Hospital at that time. I was privileged to have met and spoken with Shimon Peres in the mid 90s in Jerusalem. In 2012, at 88 years of age Shimon Peres remained unrelenting in the pursuit of peace. His speech was historic and illuminating. (Watch the entire speech on Federation CJA’s website). And now, regretfully, he has indeed entered the Gates of Heaven. May the name of President Shimon Peres forever be a blessing. If you missed this incredible speech by Prime Minister Stephen Harper to the Israeli Knesset last week you can watch his speech here or read the text. It was a momentous occasion to be sure and the most powerful connection delivered between Canada and Israel in memory. I felt great pride in my Prime Minister and my country for taking a principled and unequivocal position. At the same time, Canada supports Israel’s yearning for peace with its neighbours and recognition of its Jewish character. This is the ultimate goal: to live in peace and security without fear of terror and war. Let’s hope that this moment arrives soon. Meanwhile, this is my opportunity to express great appreciation to PM Harper. Thank you for your conviction, your courage and your clarity. The annual meeting of the Donald Berman Maimonides Geriatric Centre took place last week amid fanfare and praise for outstanding volunteers, leadership and members of staff. Among those singled out for special recognition is my cousin Larry Nachshen. Larry’s involvement at Maimonides began about 15 years ago when my great uncle Jack (Larry’s father) was a resident at the centre. 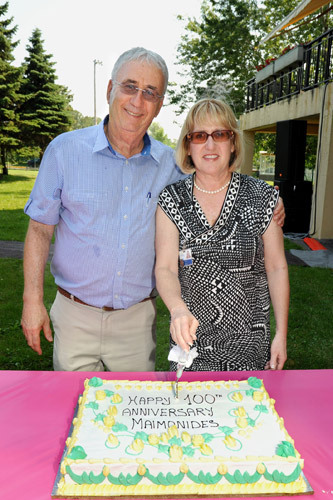 Thus began not only a solid relationship between Larry and the centre itself, but Larry’s unswerving dedication and leadership within the greater Jewish community. 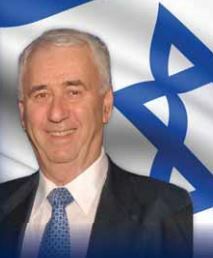 Not only did Larry chair the Maimonides foundation and centre board, but he also presided over the Montreal Holocaust Memorial Centre, Federation CJA’s overseas committee linking the Montreal Jewish Community with Beersheva and now as a member of the World Board of Directors of Ben Gurion University of the Negev. 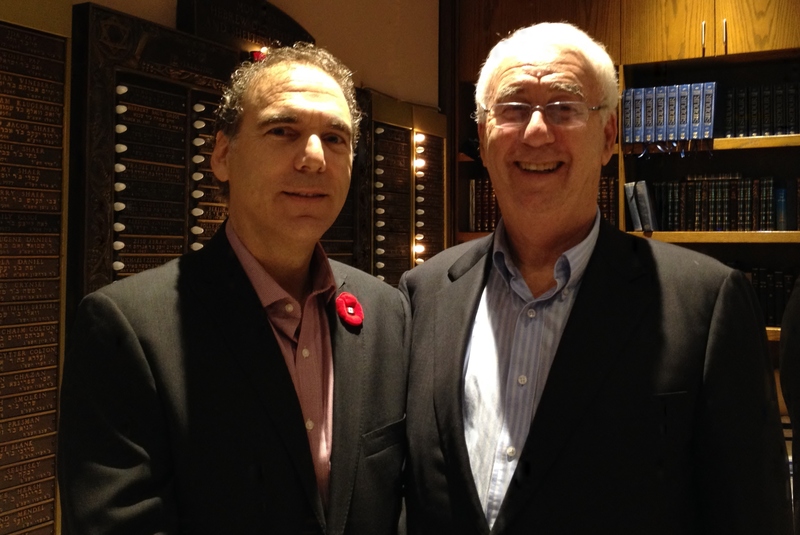 When people in Montreal’s Jewish community speak of Larry, even though they know that he is a successful businessman, they inevitably mention that he is a man dedicated to his community and is a mentsch, an outstanding human being who personifies and puts into action the Jewish precept of Tikkun Olam-Fixing the World. Larry has visited Israel many times over the last dozen years beginning with his first visit at the age of 66. Each trip has enabled him to forge stronger bonds with the people and with the state’s economic development. He participated on the March of the Living. The sadness of Auschwitz-Birkenau followed by the vibrancy and spirit of “Eretz Yisrael” left a profound impression upon Larry and a deep love for Israel. Last November, at the onset of the Gaza missile barrage, Larry went to Israel on an Israel Overseas Committee Mission to Beersheva. Larry visited community schools, a local kibbutz and witnessed children forced to seek the safety of a bomb shelter. While en route to attend a meeting at BGU President Rivka Carmi’s office, a siren went off. “We calmly got out of the van, went inside the gym, heard two rockets shrieking their way from Gaza. One landed in a field, the other was taken out by The Iron Dome”, Larry recalled. Larry was struck not only by how the community came together to safeguard its citizens but also by the activism of Ben-Gurion University student volunteers. During this week, BGU had to send all of its faculty and students home as it was forced to close. Despite the danger, more than 600 students left the safety of their homes in the north and returned to Beersheva to help the population during this crisis. They comforted children and the elderly, scrambled from shelter to shelter bringing toys, games and much needed comfort and solace. 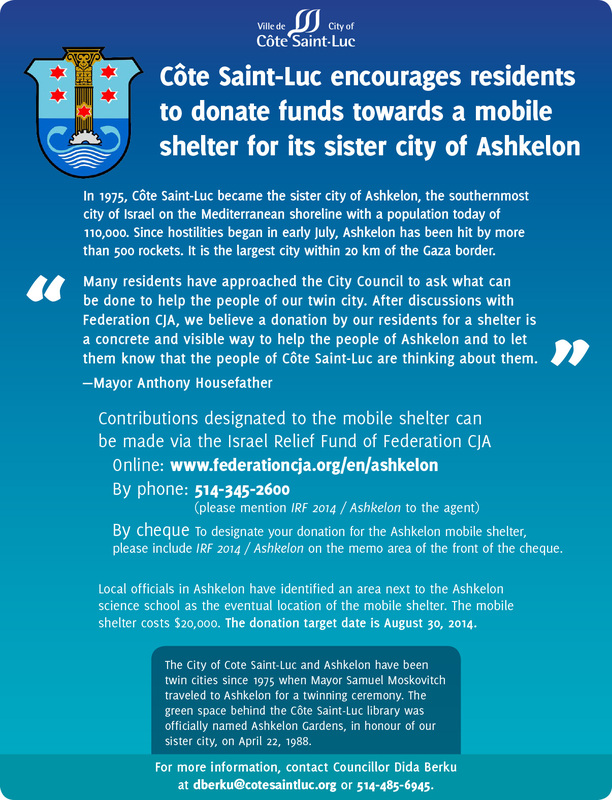 This experience gave Larry another “Mission” – to raise funds for Ben-Gurion University’s “Crisis Intervention Project”. Born in crisis with a universal application, this program not only prepares BGU students to work in Beersheva and the surrounding areas but is also a template to be used in crisis situations around the world. Larry has been happily married to Margaret for forty-five years and is the loving Father of Mark and Jennifer and proud grandfather of Finn, Sophie and Olivia. Cote Saint-Luc Mayor Anthony Housefather has been competing for the Canadian team this week in the Maccabiah Games in Israel. The Maccabiah (Hebrew: מַכַּבִּיָּה‎) is an international Jewish athletic event, held in Israel every four years. Maccabiah is open to Jewish athletes as well as Israeli athletes regardless of religion. Arab Israelis have also competed in it. So far, Housefather has won three medals. 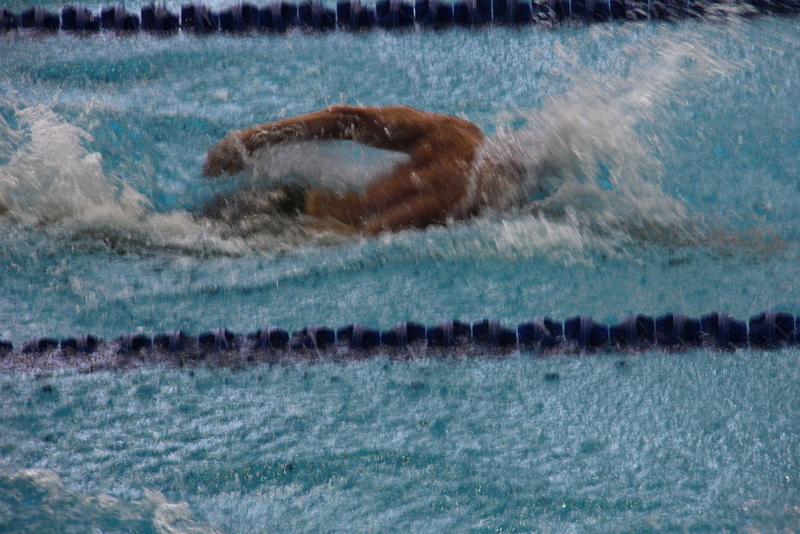 He finished third in 200 meter Freestyle , second in the 100 meter Fly and his relay team finished third. Housefather races again today in the 400 meter Freestyle, the 50 meter Fly, another Relay and the 50 meter Back. He ends off the competition on Sunday with an open water swim. Good luck Anthony! Cote Saint-Luc is cheering for you! B’Hatzlacha!